It's almost hard to remember what drinking in Houston was like before Anvil Bar & Refuge opened in 2009. The bar's impact on the city has been so profound that it's difficult to measure. Before Anvil, cocktail menus at both bars and restaurants were unusual if not unheard of. Now it's rare for either to open without one. Anvil alumni have opened so many places of their own that it's difficult to keep track of them. Whether it's Justin Burrow at Bad News Bar, Chris Frankel at Spare Key, Alex Gregg at Moving Sidewalk, Robin Berwick at Double Trouble, or others, the bar's ethos of carefully made cocktails that utilize high quality spirits and freshly squeezed juices has spread throughout the city. Additionally, Anvil's ownership group Clumsy Butcher helped lead the downtown revival that's invigorated the area around Market Square. The company's two concepts on Main Street, mezcaleria The Pastry War and nightclub The Nightingale Room, are both popular destinations in the growing nightlife district. Along the way, it's become the bar food and drink-obsessed out-of-towners are most likely to associate with Houston, racking up national publicity and James Beard Award semifinalist nominations. When high profile chefs visit Houston, stories about wild nights at Anvil are likely to follow. On Sunday, the bar will celebrate its seventh anniversary in two ways. First, bartender Westin Galleymore will celebrate the end of his training by making every cocktail on the menu for only $1 each. If that weren't enough, the staff will also serve the Texas Tiki Disco Party menu they created for a week-long takeover of Chicago's celebrated tiki bar Lost Lake. With so much going on, the time seemed right to talk to Clumsy Butcher president Bobby Heugel about Anvil's legacy, the current state of Houston's bar scene, his plans for the future, and more. CultureMap: How has Anvil changed in seven years? Bobby Heugel: I would say I think it’s gotten better. I think it’s the best it’s ever been in a lot of ways. I think the cocktails are better. I think the service is better. I think people are more polite. I don’t know, I think it’s significantly better than what it’s ever been, and I think a lot of that has to do with every person who’s worked there who’s always tried to make the bar better. That’s always been something about that specific place is that nobody ever got stagnant or complacent. Every single person that’s ever been there has been part of that process . . . When people came there to work there, I think they came there to get better as professionals, and that made the bar better in so many different ways. We’re just really lucky to have that culture and those circumstances. I think it’s gotten better, too, because I’ve grown up a lot. I think that helps. Maturity’s a good thing. CM: When people talk about bars in Houston, Anvil tends to be the first place they think of. BH: Maybe. I don’t know. CM: You’re the one with the James Beard and Spirited Award nominations. BH: Maybe they should think about the West Alabama Ice House. That’s the place I take everybody who’s from out of town. When you travel, you want to see places that are iconically of the place you’re in, and there are certainly some things about Anvil that are Houstonian in nature and then there are some that are influenced by a broader movement. I take people to West Alabama Ice House and get tacos and sit out in the backyard and drink beers and look at the dogs. That’s where I take people. CM: What do you think it is about Anvil that’s allowed so many former employees to go on and open their own places? BH: I think one thing that we really do at the bar and more so when I became older and started formalizing some of things I was haphazardly doing when I was younger. I think that we always try to train operators not bartenders. There is nothing about operations at Anvil that’s hands off to anybody. On the contrary, I think that we require that everyone have a significant knowledge of margins and teach them about all kinds of procedures that people don’t get taught in this industry when it comes to management . . . I think when people leave they’re really capable and with an understanding of what it takes to make a bar work, not just to do the job of a bartender. CM: You were just saying you've matured. What are the biggest lessons you’ve learned as you’ve gotten older? BH: I’ve learned that you have to trust the perspective of your employees more. Initially, it’s okay to say this is what we do and this is the direction that we’re going, but I think that over time you have to allow people to have their own impact on the bar. More diverse opinions make the bar better and make it their place at the same time. I think more than anybody else I’ve kind of given Terry (Williams, Anvil's general manager) more influence, and it’s made the bar better. I think Terry does the job of managing the staff and running the bar on a day to day basis better than I ever did it. Not trying to be as much of a control freak and backing off a bit has made the bar better. CM: What is it about Terry that’s made him so successful? BH: He’s just such a good person all the way through, and he works in this industry for the right reasons. I think a lot of people in this industry, especially right now, are very excited about things that they might net in the future. You know, additional concepts, more press, ambassador opportunities, and I don’t think you can do this job hoping those things occur. You have to be satisfied with the idea that you’re taking care of people every single day, and I think Terry loves taking care of people. He’s a pure service spirit all the way through, and I think that reflects in how he talks to the rest of the staff and how he talks to guests. CM: Anvil underwent some renovations last year. Do you have plans for the front of the house, too? BH: We have the permits to redo the seating and pull the two Westheimer-facing doors. That means the seating will run all the way down the wall. There won’t be these awkward breaks or large tables in the middle of the space. That’ll be something that gets done in the next couple of months. Then, this summer we’re going to take the bar all the way down to the concrete and rebuild it. We never thought we’d be as busy as we are when we opened. We never seriously corrected that problem. CM: Let me turn to Houston's bar scene in general. Do you have a sense of what you think we’re missing? BH: I think we need more bars that mix food in, well. I’d like to see more places where food was like 20 to 30-percent of what the space is about, so I can come in and get a full meal if I want to, but I’m not the most common guest. I think it’s hard to do that in this town, because we don’t use spaces for multiple purposes the way other cities do. That’s easier to do in New York or Chicago, because people are like I’ll get a drink at midnight because it’s a block away and I love it. It’s also the place that I’ll have dinner at 6 o’clock. When we choose to go someplace in Houston, it’s such a conscious, driving decision. I think we’re going with a specific purpose, and that shapes how we use spaces. You could kind of start to shift people if you change your businesses and move in the right direction. I’d also like to see bars be less specialized, and that’s from someone who owns a mezcaleria (laughs). I think it’s hard to find bars that have the same standards for how they do cocktails, beer, and wine. I think that’s because the professionals in each of those categories have become so specialized. We tried doing a wine list at Anvil, working with Houston Wine Merchant five years ago, and no one would buy it. It just sat there for a year-and-a-half. We used to do cocktails and beer really well, and now beer has kind of migrated to Hay Merchant. We still do it well, but there’s not the same fierce dedication to beer that there was in the past. CM: Are you seeing pushback on pricing from customers? I know when I see a $15 cocktail I get kind of suspicious about what I’m paying for. BH: Well, we don’t have a cocktail over $15, except for the Ramos Gin Fizz. We don’t really have any over $12. We have one: a Manhattan upgrade from $12 to $15, but that’s because the quality of rye whiskey keeps falling through the floor. 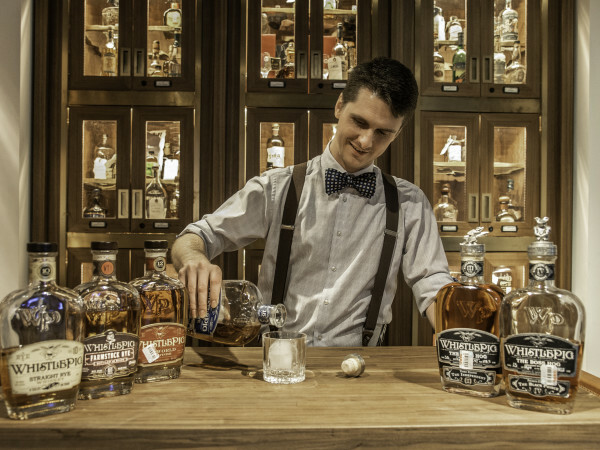 It’s hard to serve one that’s the same quality we used to without buying a $50 rye. Here’s the problem with cocktails and pricing in my opinion. The entire cocktail movement nationwide has basically set up expectations for people who walked through bars a long time ago. Milk & Honey or the Pegu Club with bar staffs that, in the history of bar staffs, were some of the best ever. That’s the expectation that people have, whether they’re aware of those bars or just heard rumors about what cocktail bars should or shouldn’t be like. If that’s our starting point for what cocktails should be, nowadays people walk into copies of copies of copies of those bars all around the world, and they find someone working behind the bar that has one-and-a-half years of experience, right? 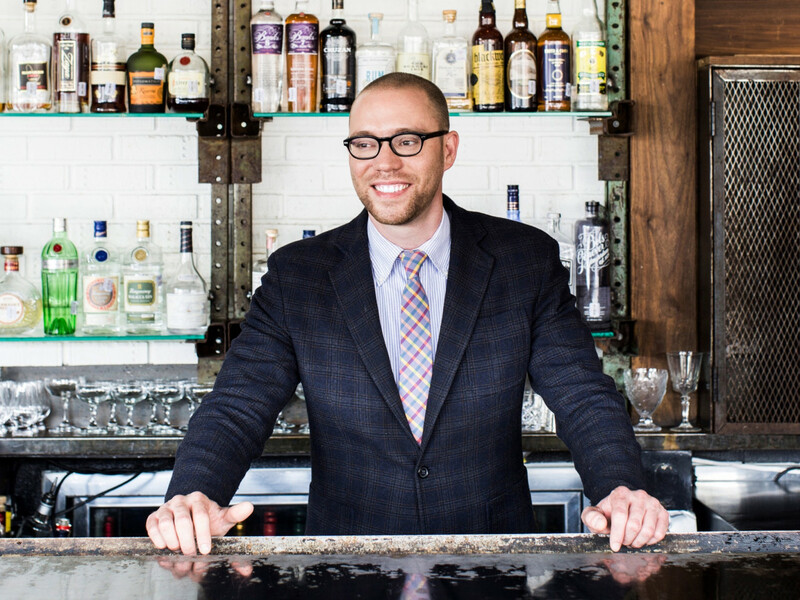 That’s never going to be Jim Meehan working at Pegu Club before he opened PDT. But the price is still the same. It’s still a $12 cocktail. That’s the problem. 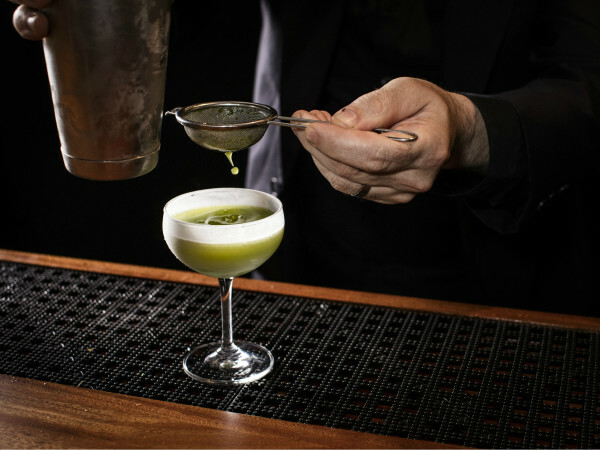 There’s so much demand for cocktails and so many people are opening cocktail bars that the level of experience of the bar staff and the quality of ingredients behind the bar isn’t what it was when it was a determined movement seven years ago. I think there’s a question of how long people are going to pay $15 for a drink if it doesn’t match the experience that was advertised over seven years. That’s not a complaint about anybody. It’s not even a complaint about the guy who’s standing behind the bar for a year-and-a-half. I’m sure he’s great. CM: He’s trying hard, if nothing else. BH: Exactly, but when the basis of your cocktail price is that we try hard on it, and the basis is a high-end ingredient, those two things don’t add up. That’s a problem. I think people need to modify their pricing to reflect their experience behind the bar. Or if you’re going to charge $15 for a drink, you need to have the very best people in that city serving that cocktail. I think those are the opposite ends of the spectrum. I think $12 is the ceiling in Houston. I think people are comfortable paying $12 for a cocktail that’s made with really, really good ingredients, but our average price for a drink at Anvil is still below $10. I think that price matches Houston, and I don’t want to not match Houston. CM: It’s been awhile since you’ve opened a new bar. Do you know what’s next for you? When I last spoke to Kevin Floyd, he suggested you both might be opening things outside the Clumsy Butcher umbrella. BH: To be clear, I don’t think there was ever anything that prohibited us from doing that . . . Maybe more recently people have started to explore things on their own. David with Morningstar is a good example. CM: Kevin (Floyd, Anvil co-founder) once said he might want to do a beer bar in the Second Ward that wouldn’t necessarily be part of Clumsy Butcher. BH: Kevin’s talked about that, and we’ve discussed different things. I don’t know. It’s a weird time to answer the question, because I don’t think anyone’s saying definitively "this is what we’re going to do next" either as individuals or as a group. I’ll be honest. The things I will probably do in the future will probably be outside of the group that we work with currently. I just think we’ve all kind of found our specialties, and we’re not discovering things as much as we used to. I think everyone’s really capable of doing their own things now and taking care of their own visions. I think the basis of what Clumsy Butcher was was how do all these different friends with all these different talents come together and help one another open their dream place? I don’t necessarily think it has to do more than that. CM: Do you have a sense of what that might be for you or when you might do that? BH: I’m starting to look at new places, just to go through the process in my head of what that would feel like. I don’t really have a lot to contribute to Underbelly or Hay Merchant or Blacksmith or Julep. My role is kind of concept development and helping them get open. I don’t have a big role there, so I basically take care of Anvil and the downtown bars on a day-to-day basis. I think I’ve played the role of supporter and helping people get where they wanted to get. It would be nice to maybe come back and say this is something I would like to definitively open that isn’t connected to the downtown movement in the same way. I don’t know. I’m trying to figure it out, but I definitely think I’m at the place where I’m going to start looking for opportunities on my own and seeing what I’m capable of accomplishing. CM: Bobby, thank you very much.